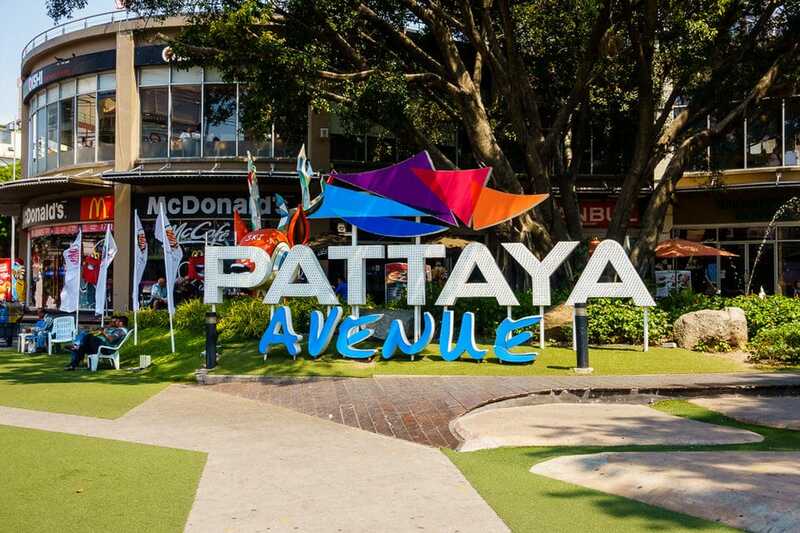 The Pattaya Avenue shopping mall is a small open air shopping and entertainment area located in the heart of Pattaya on Second Road. It is a mixed venue housing shops, restaurants, a fitness center, grocery store, and a Movie Theater and Bowling alley. 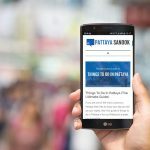 After opening it was one of the most popular malls in Pattaya. However the opening of Central Festival mall soon after took a bit of the winds from it sails. Since then the mall has had trouble keep it’s many stores occupied despite its prime location. The restaurants, entertainment, and market have been the main stays of the Avenue Pattaya. Recent years has seen the open air courtyard turned into a night market, selling clothes and trinkets for cheap prices. Stores seem to come and go from the Avenue mall. Currently you’ll find a variety of outlet stores, selling a wide range of products including sporting goods and clothes. Vendors like Reebok, Nike, and Oakley have setup shop there. Also on site are spas, pharmacy, and money exchange. There are usually vendors in the center area selling a selection of clothes or other items off the rack. There is a good selection of food options at this small mall. 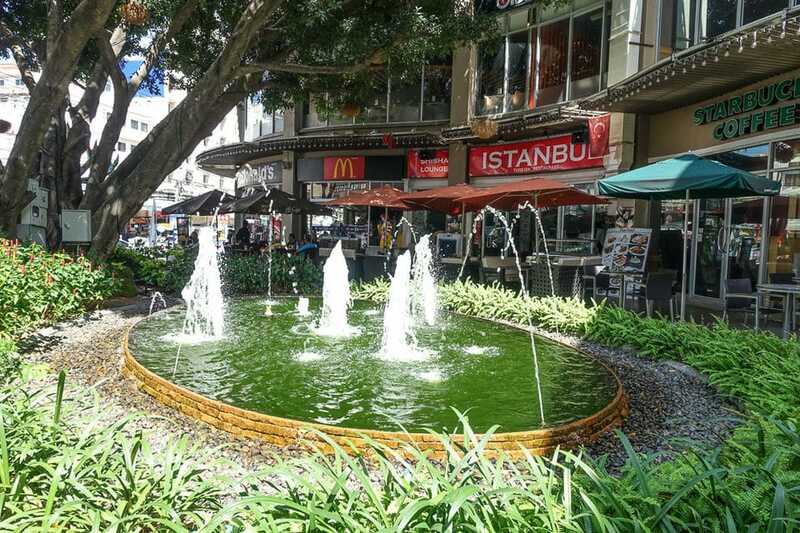 You’ll find McDonalds, Starbuck’s, Au Bon Pain, Istanbul Turkish Restaurant, and the Car Park bar. Once the home of California Wow fitness center, which closed several years ago, the Patttaya Avenue mall is now how to a new workout center. The new Fitness 7 gym opened in 2016 and is one of the nicest gyms in Pattaya. This is a top end gym equipment with a mix of weights, machines and cardio equipment. Fitness 7 offers daily, monthly, and annual rates. 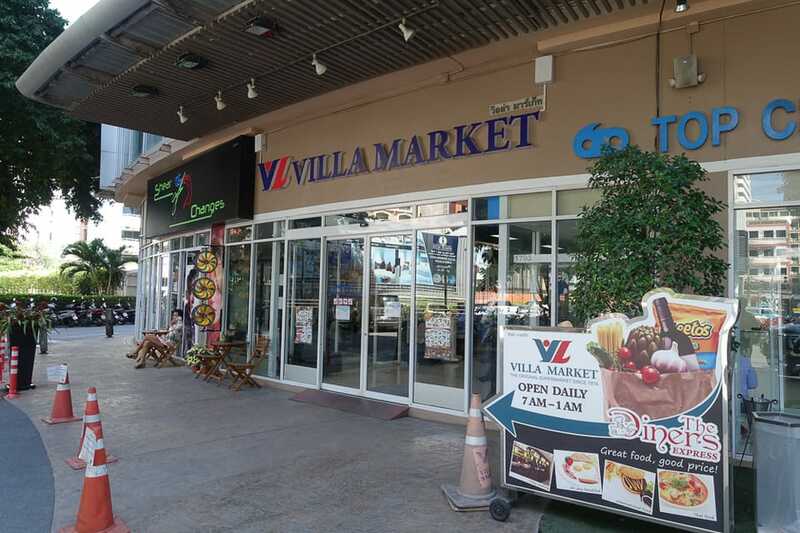 The Villa Market at the Avenue has been an Anchor of this mall since the beginning. Offering a full grocery store, it is quite popular with the expats for carrying western items that you can’t find anywhere else. 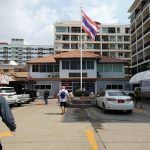 While this store is known to have slightly higher prices than some of the other grocery stores in Pattaya, its central location and excellent selection keep it a popular store to shop at. On the top level of the Pattaya Avenue shopping mall is the Major Cineplex and their bowling alley. 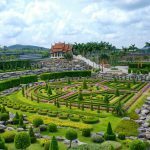 It is a very nice theater showing the latest Hollywood and Thai Movies. During the evening the Avenue turns into a night market. Vendors are selling their goods in the courtyard all the way to the sidewalk. You’ll find a variety of cheap goods available to browse. There is a beer garden setup where you can sit and have a few beers and watch the world go by on Second Road. If you are in the mood for a cocktail, there is usually a Cocktail Car on site – an old VW bus converted into a mobile bar. Location: 2nd Road, Pattaya. Across from Soi 13.